Some of the best things in life are absolutely, 100%, no-strings-attached free! In a bustling city like Brisbane, you don’t always need to spend the big bickies to have an amazing time, so step out and enjoy these totally free adventures in Queensland’s capital. What better way to explore Brisbane than with a completely free local guide via the Brisbane Greeters? Tours are as unique as the Greeters themselves; you could let them choose the best highlights to show you, focus on Aboriginal history and art, tour the Walter Taylor Bridge or tick a selection of the topics you’re most fascinated by. Either way, it’s a fantastic and free way to get to know Brisbane. How does a free river cruise sound? Jump on the cute red CityHopper boats on either side of the Brisbane River that run seven days a week and you can soak up the sights from the water. CityHoppers travel between the North Quay, South Bank 3, Maritime Museum, Thornton Street, Eagle Street Pier, Holman Street, Dockside and Sydney Street terminals. Wondering what to do with kids in Brisbane during school holidays? 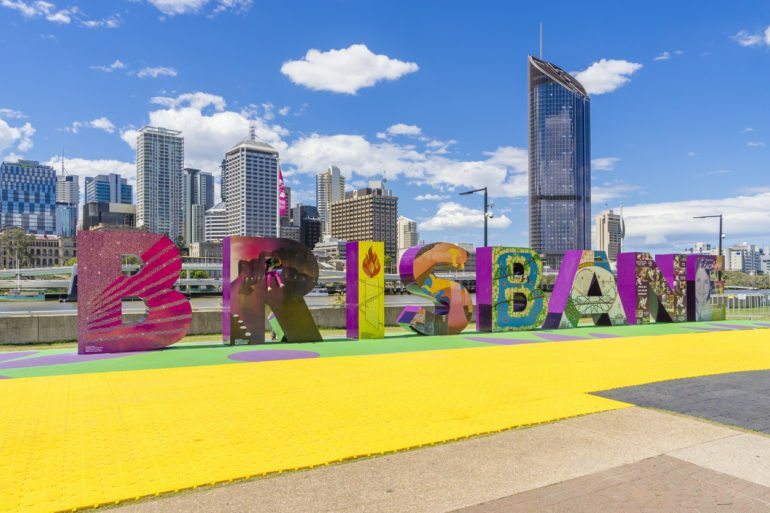 Brisbane’s iconic South Bank is just a short walk away from both Meriton Suites locations and there you’ll find the Queensland Art Gallery and the Gallery of Modern Art (QAGOMA collectively) as well as the State Library of Queensland. Take advantage of free entry to the main galleries and the Children’s Art Centre, plus school holiday programs that will let littlies get busy and creative. Brisbane famously only has one beach (it’s Australia’s only man-made inner-city beach), but it’s a particularly good one and it needn’t cost you a cent to visit. Set up a towel on the white sands under the shade of a palm tree and while away the hours paddling in the crystal clear water. Lifeguards patrol the area all year round so you can make the most of all that free sunshine and warmth! If you’re staying at Meriton Suites you couldn’t be better placed to enjoy City Sounds, Australia’s biggest live music program. This program brings free live events to hot spots around Brisbane, including South Bank, the Queen Street Mall and the Post Office Square. Keep tuned to their event schedule to catch local and touring acts when you’re in town. Now you know what to do in Brisbane for free, you’ll have extra funds to set aside for special dinners and spacious accommodation in the CBD. Check out Meriton Suites on Adelaide and Herschel Streets and stay in stylish, airy and elevated rooms up to three times the standard size.